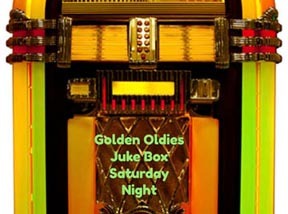 Golden Oldies Juke Box Saturday Night! Please use the following form to submit a request for our Golden Oldies Juke Box Saturday Night, which is held on the juke box in the Daily Doo Wop Rec Room each Saturday, beginning at 5:00 Eastern Time. The form has an interactive search function with information from our site that might help you narrow down your choices or perhaps be inspired to make a choice. You are free to ignore the selections presented and just make your own for song or artist. Or you can choose The Daily Doo Wop featured song of the week. Your name, song, artist, and any dedication or message will appear on that Saturday’s Golden Oldies Juke Box Saturday Night Facebook post and on one of this website’s blogs. Any e-mail will be used for special promotions, events, and news, to which you can always unsubscribe. After you enter your name, you can choose to begin the process with a Song Title or an artist. (Or skip this and just choose The Daily Doo Wop choice (in red). Then in the field, start typing a request and wait a few seconds. You will see an auto-populated list of what is already in our database that matches the first few letters you type. If your choice appears, select it and then press the TAB key on your keyboard. If none of those are what you want, then just type in your choice. The Daily Doo Wop song and artist choice for this upcoming Saturday’s Golden Oldies Juke Box Saturday Night in honor of Mother’s Day is “Mama” by Connie Francis. It was a hit for her in 1960. The song “Juke Box Saturday Night” was written by Al Stillman and Paul McGrane and first recorded by Glenn Miller & His Orchestra. This song told the story of kids having fun when cash is in short supply; they made a soda last all night and listened to their favorite hits. In the era we cover, there is a version by Nino & The Ebb Tides. This song is the epitome of a golden oldie, as it contains references to golden oldies within it. Both versions feature parody clips of the current generation’s popular artists. The Glenn Miller version lampoons Harry James and The Ink Spots. The version by Nino & The Ebb Tides updates the “swingaroo” references to the newer doo wop, rock and roll artists. They have parodies The Monotones and The Silhouettes. Although the record reached only #57 nationally for Nino & The Ebb Tides, it was a hit in regional areas, including New York City, and is considered by many to be a doo wop classic.